Test of AR Visualisation of the Mulberry Tree for “In Darwin’s Garden”. On Feb 28th, I met with Alan Summers to discuss the next stage in the development of the In Darwin’s Garden project. Alan has produced a preliminary augmented reality (AR) visualisation of the mulberry tree that can be viewed using smart phones or ipads using the “Junaio” application. 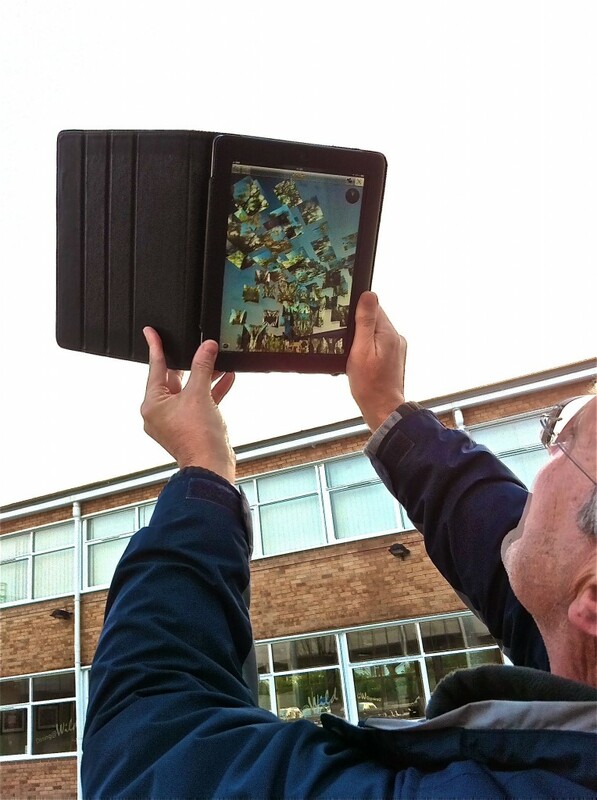 Viewing the AR test of the Mulberry Tree for "In Darwin's Garden" installation, Feb 2013.